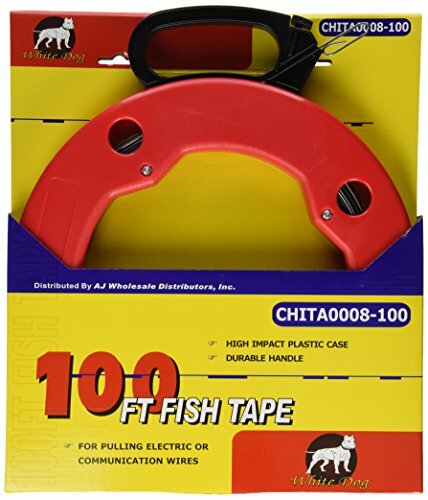 100 foot fish tape, High Impact plastic case, Durable Handle, For pulling electrical or communication wires. This reel winds up and stores excess tape. This fish tape can pull cables and wire through drywall, conduit, and pipes. The tape is 1/8'' W x 1/16'' thick x 100 feet with a pulling loop at the end. And the comfort grip reduces forearm strain. Get one while you can! !